Review copy purchased by reviewer. In a dark ghost of a town, where fear is king and unnameable creatures dwell. 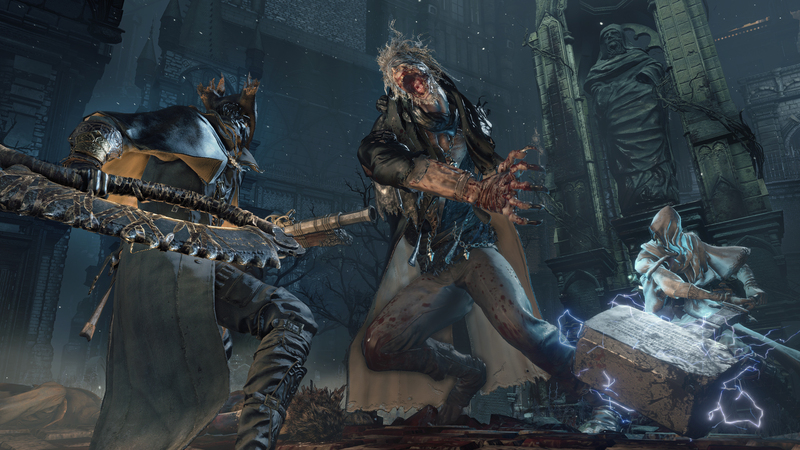 Bloodborne takes players to Yharnam, a city where any kind of disease could be cured, using blood. People from all around the world visited to rid themselves of their ailments, until one day something, naturally, went horribly wrong. The town was soon filled with atrocious beasts, and the majority of the town’s inhabitants begun lurking the desolate streets in a quest to rid their town of these monstrosities. 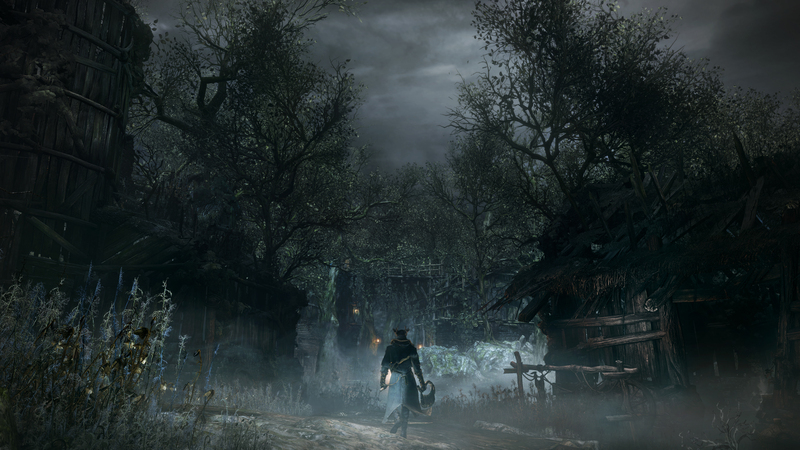 Players take the role of a hunter, who visits Yharnam in a quest to rid the town of the plague. After receiving a blood transfusion the player wakes up, and this is where Bloodborne begins. Bloodborne’s story is minimal in nature, yet heavily substantial at the same time, and in large part, sets the astoundingly immersive atmosphere of the game. Hunter’s Dream is the place that becomes the safe haven for players. During the exploration of Yharnam, players come across lamps, that when lit, can transfer you to Hunter’s Dream, in a similar manner to Dark Souls’ bonfires. Players are able to purchase certain items at the Firelink Shrine, amongst which weapons and the extremely essential blood vials, that replenish health. Weapons can be upgraded and repaired as well. Most importantly though, this is where you can level up your character. This is all made possible by using Blood Echoes, which are Bloodborne’s equivalent to Dark Souls’ souls and act as currency in Bloodborne. Spending Blood Echoes enables you to raise the level of your character, and select different attributes to advance. Compared to Dark Souls, Bloodborne’s combat is faster, visceral and slightly easier, a result of evading being more frantic. Enemies can easily surround you, and you will die, again and again, and again. But it’s ok, once you get accustomed to Bloodborne’s combat, you will soon gain a different perspective. Each encounter is intense, even the slightest mistake can result in your death, and when a large number of echoes is on the line, it becomes even more stressful. The melee weapon has two forms, interchangeable at any time. Bloodborne also features the Regain system, which after being hit by an enemy, gives you the chance to retrieve some of the life lost by immediately hitting back. 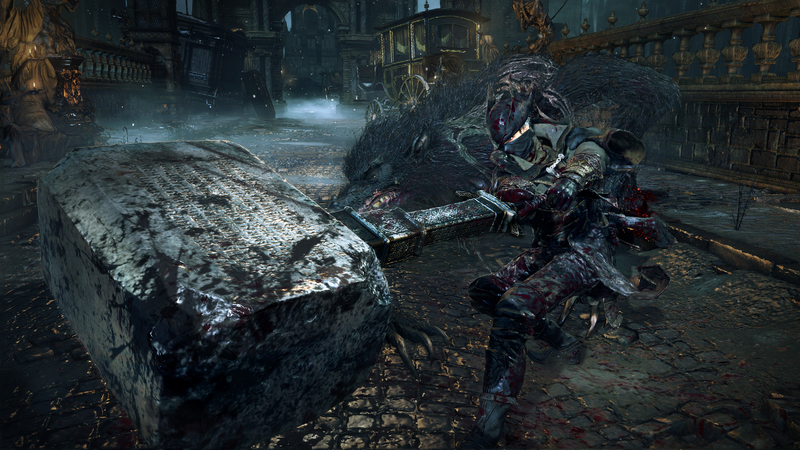 It is Bloodborne’s way of encouraging a more offensive approach, compared to the defensive pace of the Souls games. The city of Yharnam is the true star, though. It’s a huge gothic Victorian city, with interconnecting areas, and paths that serve you well in getting around each time you die, and have to make a return to your last position. As was possible in the Souls games, co-op and PVP are supported, and up to three players can join together to fight a particular boss. This requires Insight points, which can be attained by defeating bosses. 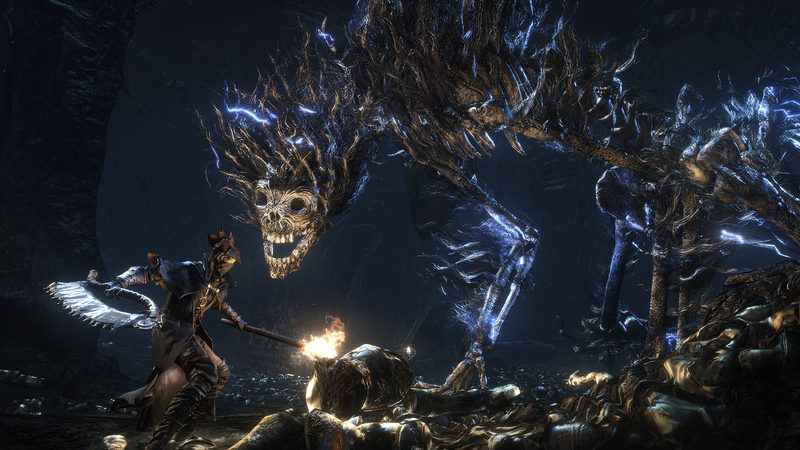 The Chalice Dungeons are one of Bloodborne’s most unusual areas, as every time the chalice Ritual is performed, in order to gain access to a dungeon, it appears different. So every single experience varies from the last. Chalice Dungeons can also be played in co-op mode or PVP. Visually Bloodborne is beautiful. Yharnam is an incredibly atmospheric city, with very nice details, that create an incredibly immersive experience. In spite of some minor frame rate issues, performance remains constant, although it would have been nice if it wasn’t capped at 30 FPS. Bloodborne’s biggest flaw, though, are the loading times. Every time you die, you have to wait 40 – seconds for the game to start again. Given that death happens quite often in Bloodborne, this can be a bit frustrating. Thankfully, From Software, is said to be working on a patch that will improve some frame rate issues and reduce loading times. Hidetaka Miyazaki and From Software have done it again. Bloodborne is beautiful, it’s an unforgivingly hard game that rewards perseverance and dedication. No matter how high you level up your character, Bloodborne will strike you down if you’re not careful. The intensity it creates with every single encounter, elevates the game as the best title of this generation, and easily the best game on the PS4. The immense drive you get to explore its desolate, yet beautiful world, is almost unprecedented. Bloodborne is a true essential for any PS4 owner, and the best reason so far to purchase Sony’s system. An Exemplary Gothic Masterpiece!